Many of us are always on the hunt for that special product that is going to take our appearance to the next level. 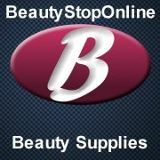 Most traditional stores do not have a wide selection when it comes to beauty supplies, however Beauty Stop Online does. It is a source of hundreds if not thousands of products including hair care and hair color items, beauty tools, spa and body, cosmetics and fragrance. There are even sections for organic and natural products, ethnic and men’s. When shopping you can read the true reviews from customers to help guide your decision, which is like having a girlfriend in the store with you. Recently, my daughter Erika reviewed KMS California Silk Sheen Shampoo,KMS California Free Shape Hot Flex Spray, and KMS California Silk Sheen Polishing Serum from the Beauty Stop Online. This company has quite an extensive line of hair care products that should help even the toughest of manes. Erika loved how it made her hair feel very soft and manageable-a surprisingly hard balance to strike in hair products.Plus Erika is very fussy about what she uses and will not say she likes something for her hair if she doesn't. If you are looking for a new beauty product but do not know where to start try giving Beauty Stop Online a try.